Understanding seed-soil dynamics is important for improving plant emergence and growth. The objectives of this study were to develop a Seed-Soil model to simulate the dynamic process of seed expansion in soil, and a Cotyledon-Soil model to simulate the dynamic process of cotyledon movement in soil. To obtain model inputs, a soybean emergence experiment was conducted to measure the expansion rates of seed and the translational and rotational velocities of cotyledon movement. After being calibrated and validated, the models were used to simulate the contact and force characteristics of seed-soil and cotyledon-soil as well as the resultant kinetic energy of soil particles in the seedbed. Results from the Seed-Soil model showed that during the germination phase (0–48 h), the number of contacts between the seed and soil increased from the initial 40 counts to about 80. 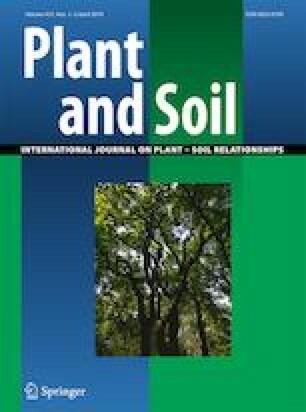 Results from the Cotyledon-Soil model demonstrated that the vertical movement and rotation of cotyledon during the emergence phase (48–120 h) caused a linear increase in the kinetic energy of the soil particles, and a decrease in the number of contacts between the cotyledon and soil. The maximum soil impedance to the cotyledon was 0.123 N, which occurred at 54 h after planting. The two models developed were capable of simulating the dynamic processes of seed expansion and cotyledon movement in soybean emergence. This research was supported in part by the Grant of 2017 Guangdong Recruitment Program of Foreign Experts, the Earmarked Fund for Modern Agro-industry Technology Research System, (No. CARS-01-43), Guangdong Province, China.